Home » Blog » Got Ghosted by Your Cleaning Company? Got Ghosted by Your Cleaning Company? 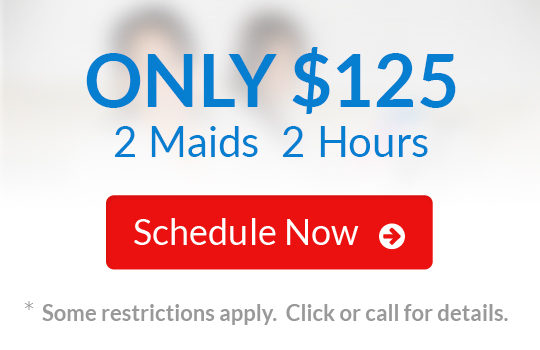 When you set up a date and time to have your home cleaned, it can be a huge hassle when the cleaners fail to show up. If you’ve ever been ghosted by your cleaning company, you know the feeling. But when you choose Kimberly's Kleaning Service, you won’t ever have to be concerned about being ghosted. We have diligent, careful cleaners on our team who will always arrive on-time and complete a thorough cleaning in your home. You’ll be able to rely on Kimberly's Kleaning Service for a one-time cleaning or consistent monthly, biweekly, or weekly cleanings. The choice is yours! Unlike other cleaning companies that may do a rather shoddy job cleaning your home, Kimberly's Kleaning Service’s cleaners won’t leave until every inch of your home is spotless. You’ll never see spooky cobwebs left in your home after our expert cleaners are done. In fact, our motto is, “We don’t cut corners – we clean them!” We hold our employees to the highest ethical and service standards, and we take great pride in meeting and often even exceeding our clients’ expectations. Dusting furniture, walls, knickknacks, etc. We include these extra tasks as a way for you to stay on top of all important cleaning tasks that need to be taken care of on an occasional basis. Don’t hesitate to mention if you have any other cleaning tasks you’d like our expert crew to tackle for you. As always, your satisfaction is our top priority. Boo! What are you waiting for? Don’t be scared to contact Kimberly's Kleaning Service today. If you call during business hours, Kimberly herself will be happy to answer your questions and provide you with a free estimate for your next cleaning service. Now is the perfect time to sign up to have a much cleaner home, thanks to the experts at Kimberly's Kleaning Service. Halloween, Thanksgiving, and many other holidays are right around the corner, and who has the time, energy, or inclination to clean on a regular basis? The awesome cleaners at Kimberly's Kleaning Service do! Let us take care of the drudgery so you can enjoy your life more. 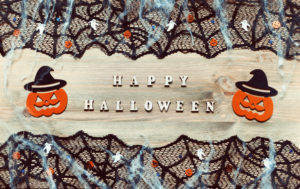 Happy Halloween from all of us at Kimberly's Kleaning Service! Winner of the 2015 Super Service Award! We are proud to say we have won this award for the past 4 years! Please note all inquiries are responded within 24 hours by phone. Estimates are not provided via email. Copyright © 2019 Kimberly's Kleaning Service. All Rights Reserved. Website by Webstract Marketing. 8610 South Eastern Ave., Las Vegas, NV.